Michelle Peziol is certified as a Track & Sign Specialist and is now a CyberTracker Evaluator. Michelle wrote several articles while teaching at Alderleaf. She is currently working on a PhD at Washington State University. Michelle managed a mountain lion research project in the Teton Mountains for Panthera, working with world-renowned wildlife tracker and field guide author, Mark Elbroch. 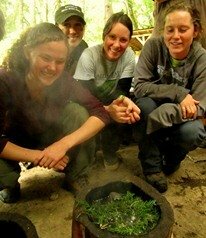 Michelle is a graduate of the Alderleaf Wilderness Certification Program and Alderleaf's Instructor Apprenticeship. 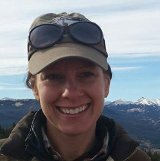 She is certified in Wilderness First Aid through the Wilderness Medicine Training Center and completed Earthwalk Northwest's Ethnobotany Apprenticeship Program. Michelle also holds a Bachelor of Science in Geology from State University College at Fredonia.